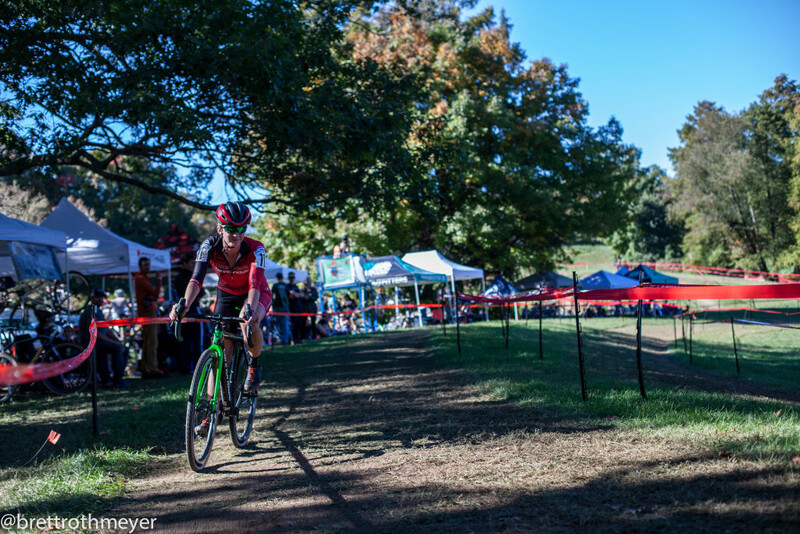 On day two of the UCI C2-rated Charm City Cross weekend in Baltimore, Maryland, we were treated to a harder course, blazing fast laps, and Elite results that were both surprising and somewhat expected. With a course run largely reserve from Saturday’s layout, day 2 of Charm City managed to offer up sections that were both faster, encouraging groups to race together for extended periods of time, and even more elevation gain on energy-sapping Velcro-like soft grass, including the brutal climb to the Druid Hill Park mansion house. Following a morning and early afternoon which saw plenty of exciting racing, with both repeat winners and some surprises, all attention turned to the women’s Elite race as the clock struck 2pm. 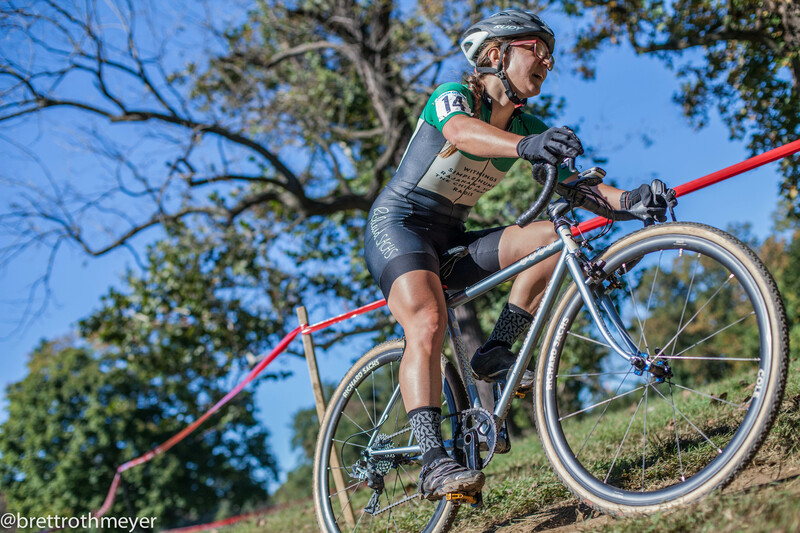 With yet another day of picture perfect cyclocross weather in the Mid-Atlantic, some 50 women toed the line hoping to add their name to the illustrious list of past winners once the day was over. However, such hopes were short-lived as the winner from Saturday’s race, Emma White (Cyclocrossworld.com Devo Team) quickly separated herself from the field, and by the first time past team tent row, already had a more than 10 second gap on her chasers. Emma White. © 2015 Brett Rothmeyer. Carrying forth with the good form she had put on display 24 hours prior, Brittlee Bowman (House Industries/Withings/SimpleHuman) rode with confidence early in the race and dictated the chase to reel in White. Britlee Bowman. © 2015 Brett Rothmeyer. A storming Jenna Greaser (JAM Fund/NCC) made a determined effort to limit White’s lead, which was growing with each lap, until she pulled off course and called it a day. Stepping up to chase both Bowman and White was the Golden, Colorado-based Feedback Sports rider, Caitlyn Vestal. While White was taking risks to push her lead out even further, which led to a late-race spill on a greasy reverse camber 270 degree turn, Bowman and Vestal were securing their podium places as they left the rest of the field in their wake. As the 40 minute race came to a close, White cruised in for a second consecutive win, white Bowman and Vestal ended up second and third, respectively. 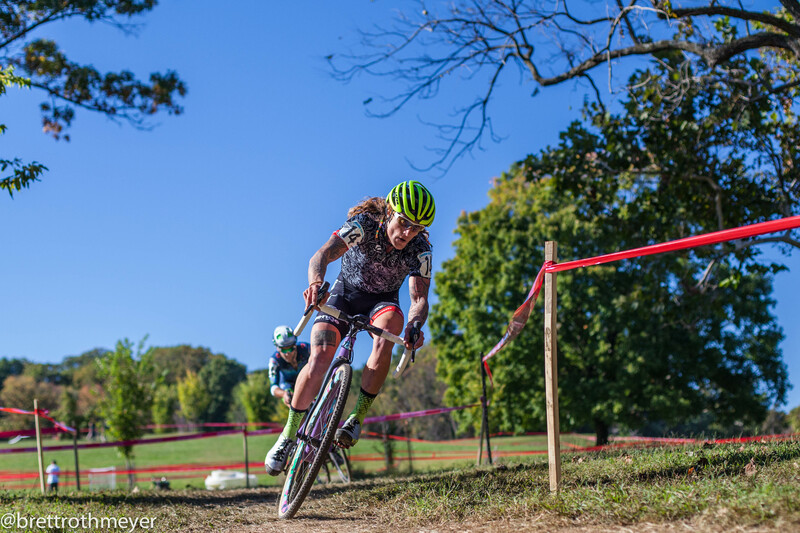 A two-podium weekend for Bowman has to be the surprise of Charm City Cross for 2015, and will surely leave the New York City-based rider with a target planted on her back from the remainder of the season. 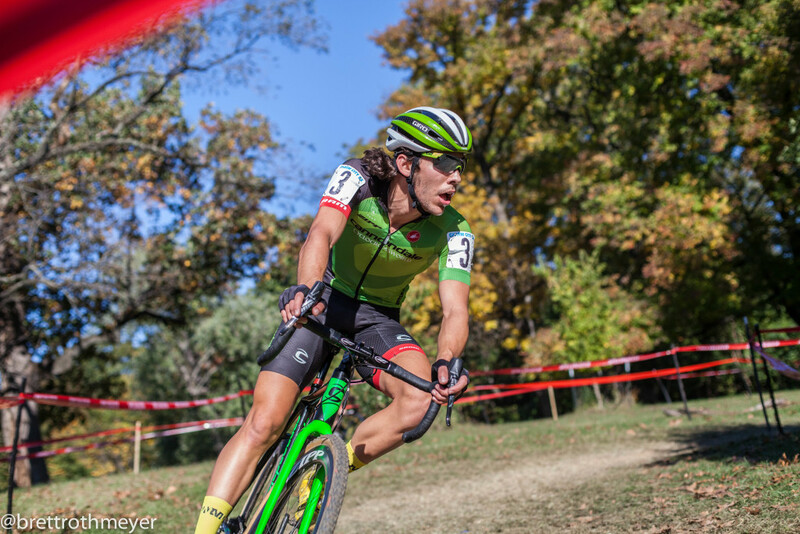 With HPCX looming next weekend in New Jersey, can Bowman make the step up to the top of the podium? After an impressive showing in Baltimore, such a thought can’t be far from her mind. After watching the elite women serve up a fast and entertaining race, the men’s elite field filed into the start grid, hoping for both a cleaner start and a shot at hanging on Curtis White’s wheel. 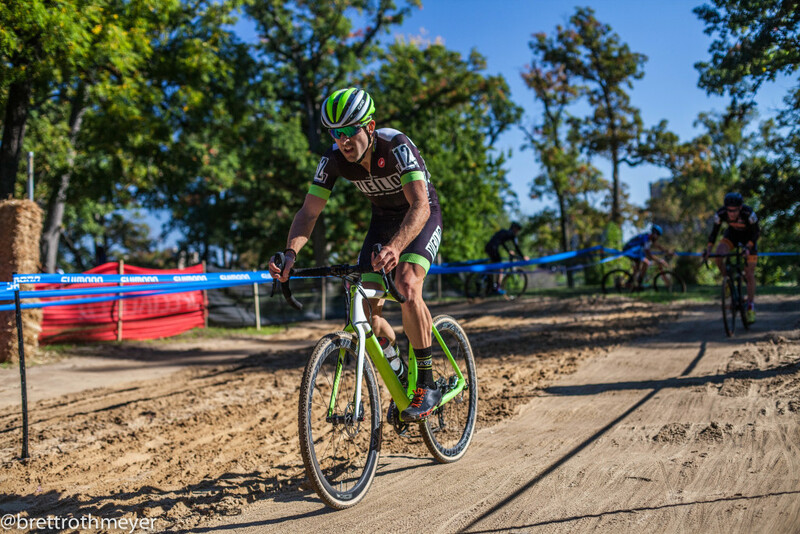 The Cannondale p/b Cyclocrossworld rider was again a popular pick to dominate and win day 2 of Charm City. And while White found himself at the front of the race, which splintered quickly due to the blistering pace and the brutal climbing after passing underneath the flyover, he had plenty of company in the form of Jeremy Durrin (Neon Velo), Ben Frederick (beyondCX), Cam Dodge (unattached), Travis Livermon (MOB Pro CX), Justin Lindine (Apex/NBX/Trek), Anthony Clark (Squid Bikes), the House Industries/Withings/SimpleHuman duo of Baltimore-native Sam O’Keefe and New Yorker Dan Chabanov, Cole Oberman (RareDiseaseCycling.org) and Robert Marion (American Classic Pro CX Team). Curtis White. © 2015 Brett Rothmeyer. Durrin’s resurgence, and strong ride throughout the course of the second day, was impressive given how he had faded on Saturday. As these riders battled at the front, riders further down the running order really began to struggle with the high pace as 7.15-7.30 laps were commonplace despite the climbing on the course. Jeremy Durrin. © 2015 Brett Rothmeyer. As the race neared its conclusion and the lap card showed 3 laps to go, there was a 6 man group at the front of White, Livermon, Dodge, Frederick, Lindine, with Clark just meters behind grappling to catch back on. Durrin, unfortunately, had begun to fade at this juncture and wasn’t able to cross the 20 second gap to Frederick’s wheel. Unlike Saturday when Dodge rolled the dice and and gambled with a big acceleration on the last lap, Sunday’s finale was a touch more tactical. Dodge was content to let White sit on the front as he made his way around Livermon on the rise to the sand pit. With a clean run to the line on the return to the pavement from the planter box dismount, White managed to hold off Dodge in the sprint, with Livermon trailing in some 10 seconds later. Frederick landed another impressive fourth place by fending off Lindine, who appeared to ride stronger the deeper into the race he went. Rounding out the top-10 were Chabanov and Marion, the battle of beautiful handmade steel and resplendent ginger beard, with O’Keefe and his green Richard Sachs landing 11th in his hometown race. 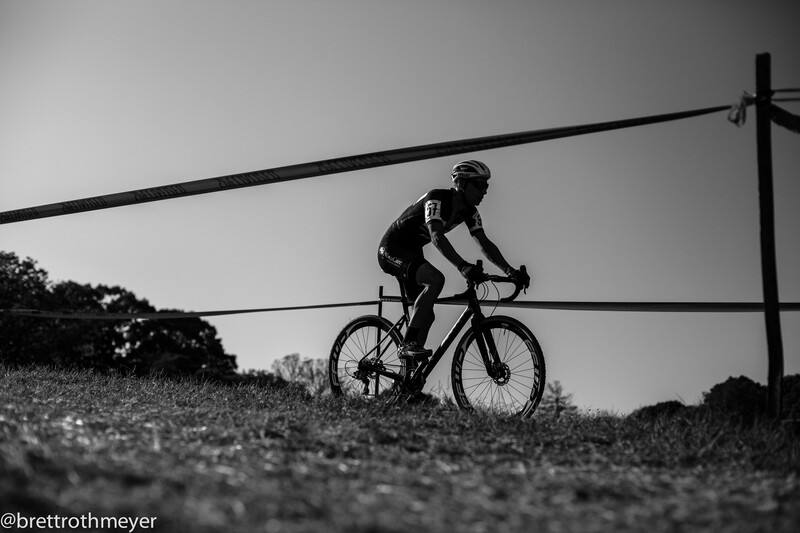 Cam Dodge’s never say die attitude was a highlight of the race as he refused to let gaps open and was constantly moving across to his competitors wheels in an effort to recover, something nigh impossible on the day’s course. Anthony Clark. © 2015 Brett Rothmeyer. Dan Chabanov. © 2015 Brett Rothmeyer. Sam O’Keefe and Robert Marion. © 2015 Brett Rothmeyer. 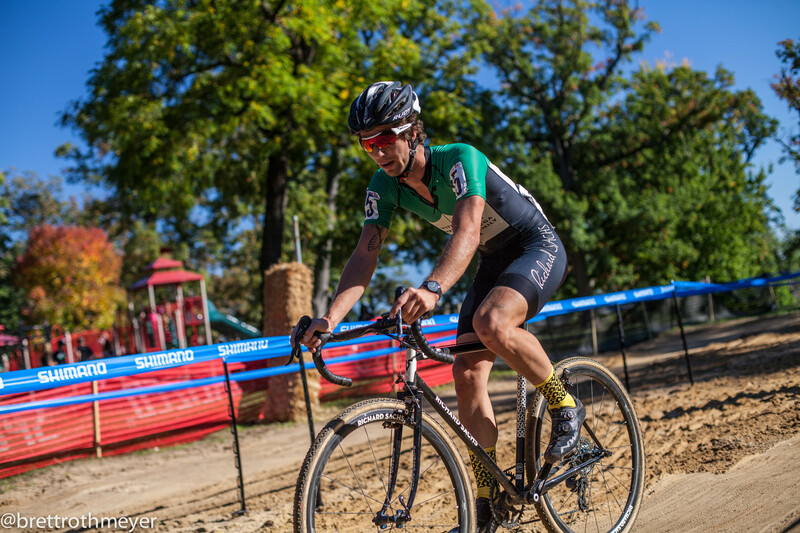 The big question after this 2015 Charm City Cross weekend is thus: can Curtis White match his sister’s long-range exploits at any time this season, or will he have to dial up individual results when and where he can take them before being put back on Cannondale p/b Cyclocrossworld team duty. Regardless of your takeaway from Druid Hill Park at the close of the race weekend, it would be hard to argue that East Coast Cross is doing well, thriving and growing even, in large part due to the success and longevity of events like Charm City Cross. 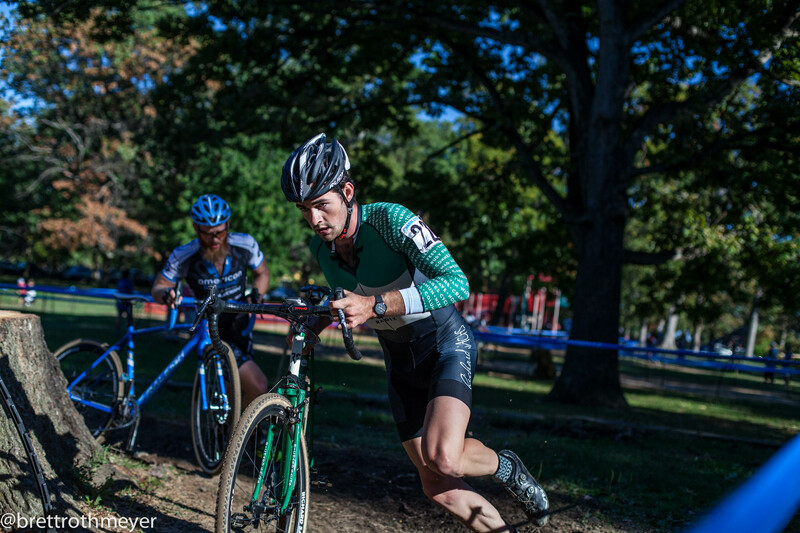 To that end, a big <<chapeau>> to Kris Auer and his Charm City Cycling crew who collectively make the race an increasingly common stop for top cyclocross pros each fall. Photos by Brett Rothmeyer. See more of Brett’s work at thefurthestpointfromhome.tumblr.com. Thanks for the race reports. It’s inspiring to watch these ladies hit the course. Hopefully, the East Coast Cross does grow even more so more people can to get to watch these events!